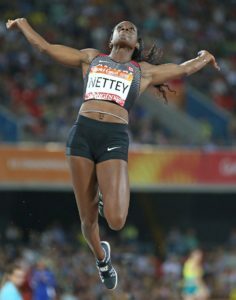 Nettey’s main competition at the Jerome meet would appear to be American Kylie Price ( PB 6.77) and newly-crowned NCAA heptathlon champion from Langley Georgia Ellenwood, who will contest both the long jump and 100-metre hurdles. The meet within a meet will feature the Canada-China Team Sprint Challenge for the Pacific World Cup. Gary Kingston sends us the following info on Greg Stewart who is excited about competing in his first Harry Jerome Track Classic when he is looking forward to the opportunity to rub shoulders with the likes of Canadian Olympic sprint star Andre De Grasse. “Of course, for me, it would be like rubbing hips to shoulders,” he says with a laugh over the phone from Kamloops. No kidding. The Bunyanesque Stewart is a 7-foot-2, 320-pound behemoth who will tower over the 5-foot-9, 155-pound De Grasse, a triple medalist from the 2016 Rio de Janeiro Olympics. Stewart, who turns 32 in July, won’t be found on the Swangard Stadium track. But in a field discipline filled with men of enormous girth, the shot putter will still be easily identifiable in the circle, not only for his massive size, but for the fact he was born without an arm below his left elbow. 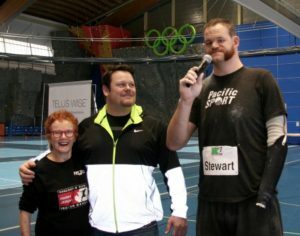 That makes Stewart, the CIS defensive player of the year in 2011 when he played basketball for Thompson Rivers University with a prosthetic he likened to a “giant ping-pong paddle,” eligible to compete in the F46 class of para-athletics. 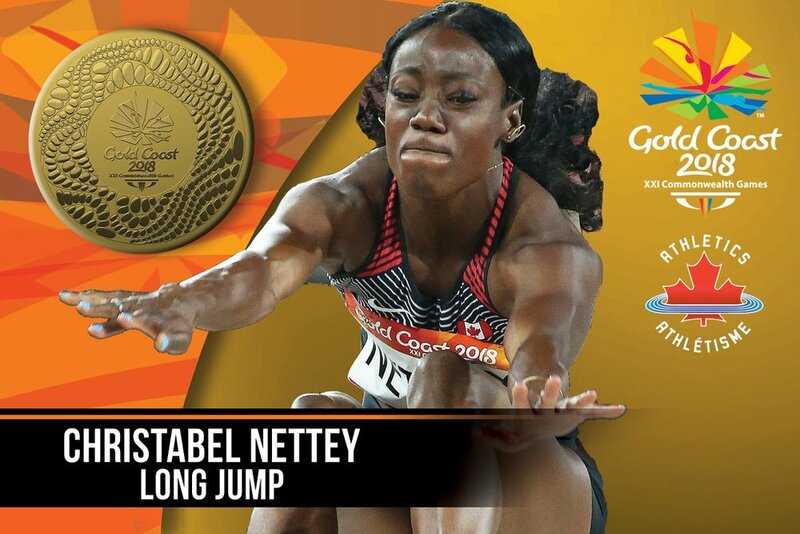 And given the way he was progressed in his year in the sport, and under the tutelage of Dylan Armstrong, the 2008 Olympic bronze medalist from Kamloops, Stewart looks like a sure bet to soon become a world record-holder and a 2020 Paralympic medalist. His throw of 15.80 metres in Phoenix on Sunday was a personal best — it marked a nearly two-metre increase in just one year — and would have been good enough to win the F46 class gold medal at the 2017 Para-athletic world championships. It’s also just .18 off the world record held by American Josh Cinnamo.